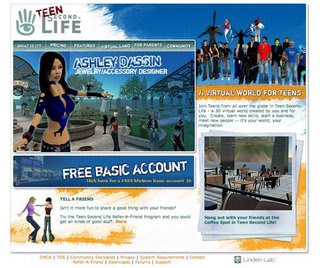 Second Life is one of my favorite online games, actually I consider it more than a game where you can walk, fight, laugh, sleep, travel and work. also they have their own timing, and currency which is Linden Dollars! you can trade with Lindens, buy and sell shares. You can buy your own land, Island, and house and fill them with your favorite things(furneture,painting,wall,electronics) ,or you can shop over a variety of malls and freebies where you can get some outfit, shoes, and many more. whats more interesting is that you can add your own machine games and get payed from the users, or you can even add your own stuff for sell! There are other ways to get money while you are logged into Second Life either by working for a part time there or by using paying object like (sitting in someone land, using slot machine, laying beside the sea side, or even by answering guests questions).